For kids 7 and up or Beginning Adults this is a fun bag. Do you have a pair of favorite jeans that you have outgrown or they have too many holes in the knees? 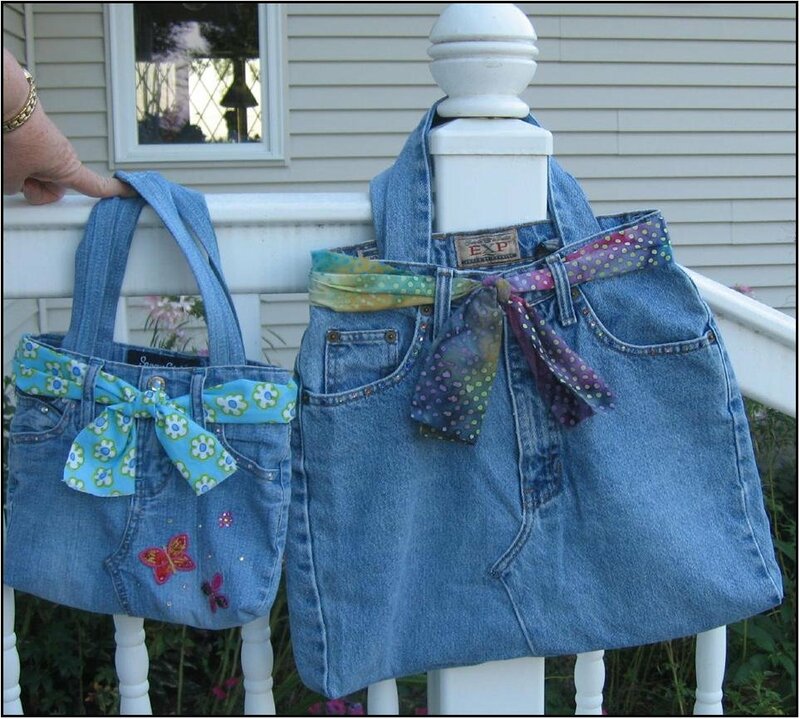 You can make them into a bag to use for books or a purse (small size) or ANYTHING! Decorate it and tie a scarf in the belt loops to make it especially yours. Your jeans can have decorations but no rivet or nail head decorations! Can’t cut or sew over a nail head! They will have one rivet by the pocket and that is okay! If you don't have a machine, please let us know and one will be provided. Any child 7 or 8 years old, or any child borrowing a machine from Neal's, must have an adult present. Class size is limited so sign up early! You must pay for the class to reserve your spot! Kids classes fill up fast!